I had few fully ripped avocados in the fridge. I wanted to try something interesting. My son wanted some cake. 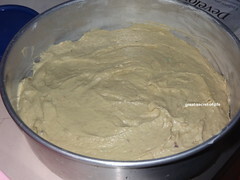 So I decided to do vegan Avocado pound cake. I searched for recipe in the net. Most of the recipes I saw in the net were with Eggs. I loved the flavour of it. My 2nd son who is not a big fan of avocado loved this cake. In this cake you can still taste the avocado even though not very strong you will have the hint of it. 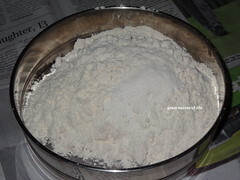 Sift toghether all purpose flour, wheat pastry flour and baking powder at least twice.. Keep it aside. 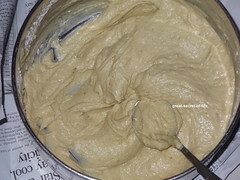 Grease baking dish with butter and keep it aside. 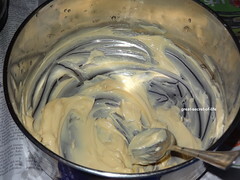 Combine Condensed Milk and avocado and make a nice smooth paste ( I have used blender / mixie). Mix Vinegar with milk and keep it aside for 10 mins. Cream the butter in the vessel. 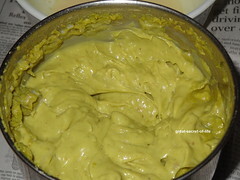 Add avocado to creamed butter mix well. 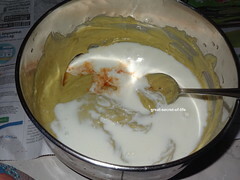 Add vanilla essence and milk into it. Mix well. 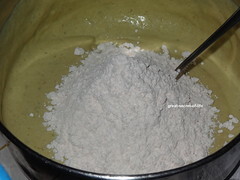 Now add in flour and mix well. love the cake... good way to replace the butter!!! 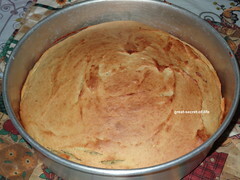 Such a healthy, moist and soft cake.. looks yum..
looks so soft and yummy.. very tempting!! 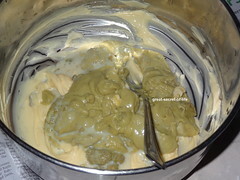 Avocado pound cake looks delicious Veena very nice. Those slices look really delectable.Would love to have it with a cup of tea. wow..I would like to grab the platter,looks too yummy!! What an invention. 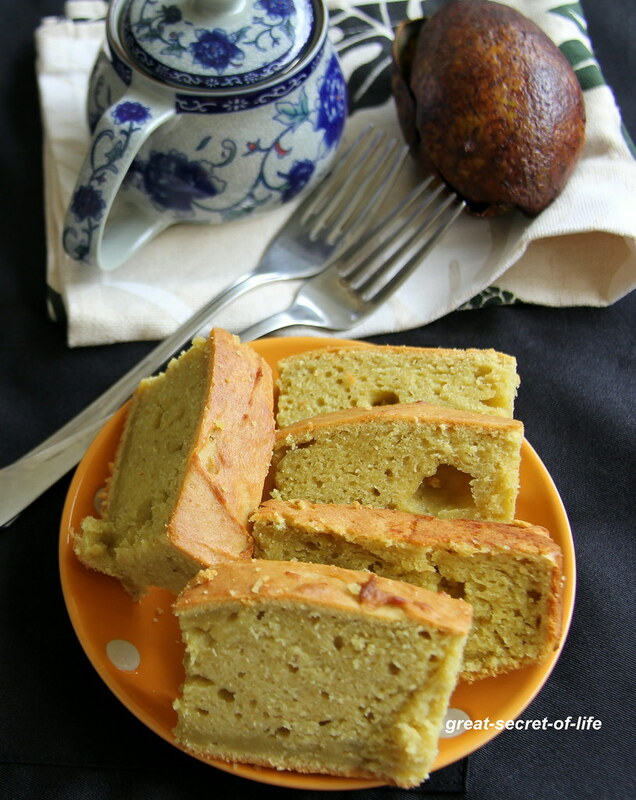 Love avocado and love it in this super cake, what more eggless. 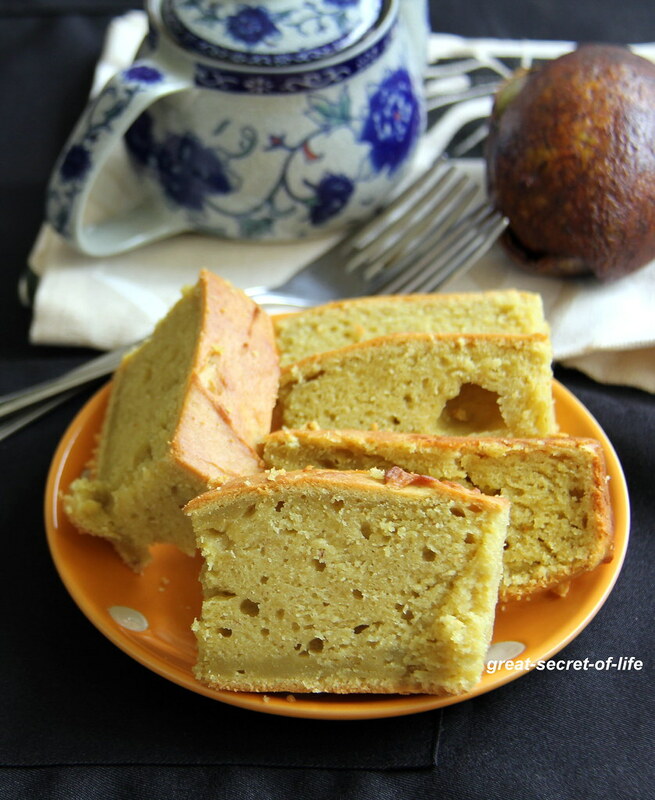 super soft and moist cake...I am planning to bake bread/cake with avocados...this looks perfect! 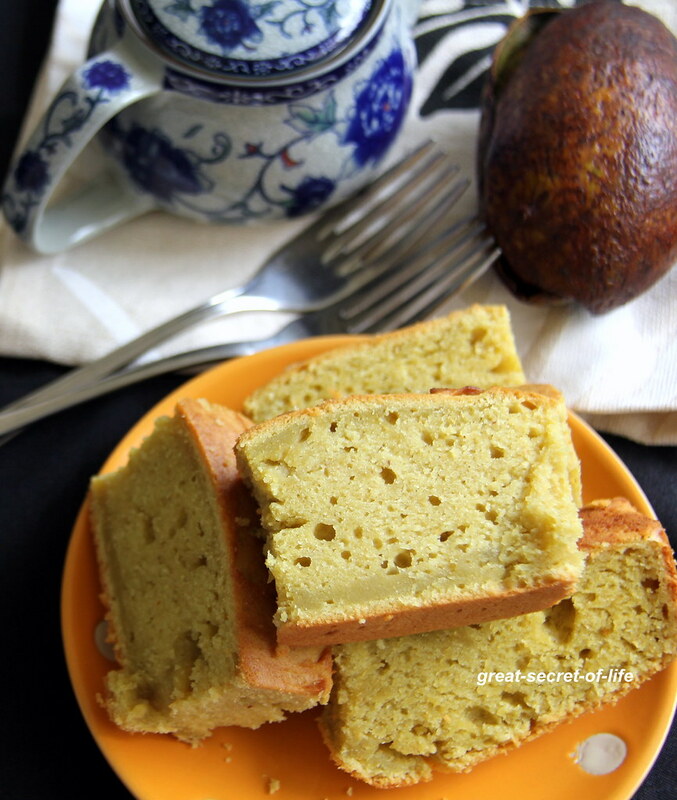 I love to bake with fruits and I can imagine the rich creaminess avocado adds to the cake.